Each player and parent, as a condition of participation in this program, is required to read the US Lacrosse Code of Conduct form at registration. 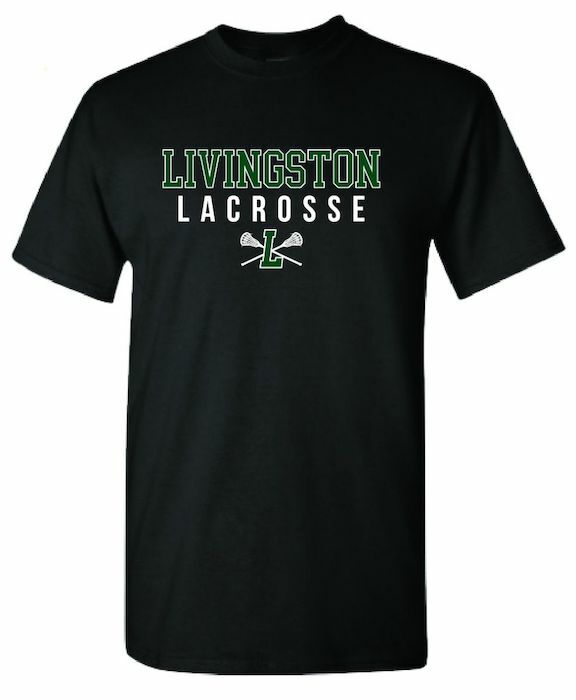 Further, by signing the Livingston Junior Lancer Lacrosse League Registration form, each player and parent also acknowledges and agrees to follow the Livingston Township S.A.G.E. guidelines. The US Lacrosse Code of Conduct is located on the US Lacrosse website at http://www.lacrosse.org/. The Code of Conduct is part of the membership application. 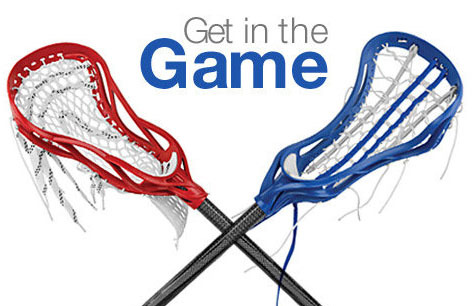 We participate in US Lacrosse sanctioned leagues. League rules. The website is located at http://www.njlacrosse.com/. US Lacrosse operates under the Positive Coaching Alliance principles. The Club expects each Coach to coach in a manner consistent with those principles. All coaches are strongly encouraged to attend at least one Positive Coaching Alliance workshop. The Positive Coaching Alliance website is http://www.positivecoach.org/. 1. Players are to arrive for games on time as directed by the coaches and get dressed promptly, be ready for pre game warm-ups and drills, and pre game instructions from the Coaches and Referees. 2. Any player unable to attend a game must inform the Coaches per their instructions. 4. Good sportsmanship is required at all times. Players are expected to listen to and respect their Coaches during a game. 5. Making fun of teammates is absolutely prohibited. 6. Trash talking at any time is not allowed. Both the girls and boysâ?? leagues have adopted a zero tolerance policy and direct the referees to eject offending players and possibly, require the team to forfeit the game. 7. Players given a penalty are NOT to argue with the referee and are to immediately leave the field and report to the penalty box. 8. NO fighting - even if the other team initiates it. Walk away. Let the coaches and referees handle the situation. 9. Any player receiving a game misconduct penalty will not be allowed to play in the next game. This is the rule of the New Jersey league that we participate in. Misconduct penalties include fighting, unnecessary roughness, and any other behavior inappropriate to the proper and safe conduct of the game. 10. A player that receives more than one game misconduct penalty during the season may be suspended from the team. There is zero tolerance for inappropriate behavior that places any playerâ? ?s safety at risk. 11. Equipment may not be thrown at any time on the playing surface or on the sidelines. 12. Players are to stand orderly as a TEAM on the sideline during the game fully dressed. Players are not to swing their sticks while on the sideline. 13. Keep equipment on at all times during the game. After the game, first cheer and shake hands with the opposing team and then remove equipment. 14. Players are expected to cheer, support and encourage their TEAMMATES and applaud good play by the other team. Every player is part of the LANCER TEAM. Support, respect and act as a part of the TEAM. There is NO I in TEAM! Everyone is learning. Everyone is trying. Mistakes and errors are learning experiences. No one player is above the TEAM. 15. A player who hustles, works hard, plays defense, communicates on the field, listens to the coaches, PASSES, picks up the ground balls or makes an assist contributes equally to any goal that is scored and the outcome of the game. TEAMWORK! 16. No laughing at or making fun of any opposing player. Violation of this rule will result in suspension from the program. 17. During an injury time out, each player is to take a knee and wait further instructions from the referees. Players should clap for an injured player leaving the field. 18. At the conclusion of each game, the entire TEAM will say a cheer for, and then shake hands with the other team. Line up as a TEAM with the goalie at the head of the line. 19. After shaking the other teamâ? ?s hands, all players are to gather around the coaches for post game comments and announcements. Players are not to take their equipment off or start packing up until after the team meeting. yours, clean it up. This applies for both home and away games. For home games, we are responsible to clean up the entire sideline even if the visitors neglect their responsibility. 21. Any player that has a conflict or an issue with a Coach should direct their concerns to a Club Director. 22. Medicines: Any player, who uses inhalers, etc., must inform either the parent coordinator or coach prior to the game or practice and place the inhaler in the team medical box. Medicine and any inhalers are to be stored in a plastic bag clearly marked with the playerâ? ?s name. No boy in grades 3-8 can play without an athletic cup. Except the goalie, all boysâ?? grades 3-8 must wear shoulder pads, rib and arm pads, regardless of position that they may be playing. All helmets must be certified lacrosse helmets. Goalies - The Club will provide chest protectors, shin guards, throat protectors, goalie stick, goalie pants (optional), and helmets. Boys Grades 5 to 8, goalies are strongly encouraged to wear shin guards. New and inexperienced goalies in grades 5 and 6 are required to wear goalie pants. The Coaches, in their judgment, may require any goalie to wear shin guards. Lacrosse equipment looks alike. Players must have their names on all lacrosse equipment â?? including sticks and water bottles. For boys, please put on the front of the helmet tape with the playerâ? ?s last name. 1. Players are strongly encouraged to attend all practices. The Club recognizes that players may have conflicts with other seasonal sports, and expects that such conflicts will be resolved fairly between these activities. Lacrosse is a TEAM game, and attendance at practices is critical for the TEAM to improve and learn to play as a TEAM. 2. Players in grades 3-8 are responsible to notify their Coach per the Coaches instructions if they have to miss a practice. 3. Practices and clinics will start promptly as scheduled. Players are expected to arrive in time to get dressed and be ready for warm-ups, drills and coaches instructions at the time that practice starts. Players who cannot arrive on time, due to other commitments - religious school, academic requirements, family commitments, or medical reasons - must inform their coaches per their instructions. 4. Players, who miss substantially all practices due to other sports activities, will have reduced playing time regardless of the playerâ? ?s athletic and lacrosse skills. Lacrosse is a TEAM game, and practices are critical in developing a TEAM concept. Practice time equals playing time. Every player must play a minimum of one â? ?quarter of each game by rule of both the girls and boys leagues. 5. The practice field must be cleaned of all trash. Each player is responsible. Even if it is not your trash, pick it up and throw it in the trash receptacles. 6. Players must wear all equipment required for their respective level to participate in any practices. 7. Players are expected to listen and respect their Coaches during practice and participate in all aspects of the practice. 8. Players are expected to work on their own the skills covered in practice. Passing and catching a lacrosse ball is an absolute fundamental that every player should work on every day. 1. This is youth lacrosse. It is not the NCAA Final Four Championships. Our children are playing to learn, have fun, and then, win. 2. Parents are required to inform the Club of any changes in any of the information submitted at registration, such as emergency contact names, numbers, e-mails and childâ? ?s medical circumstances. 3. Our philosophy is TEAM play â?? players are part of the TEAM, are expected to support, and respect all the other players on the team on and off the field. Parents are urged to root based on these principles, and the SAGE and US Lacrosse Code of Conduct that was signed at registration. â? ?HONOR THE GAMEâ?? IS THE GOVERNING RULE. 4. No berating refs, players or coaches â?? fans and parents will be asked to leave by a Sideline Administrator that US Lacrosse requires the home team to designate. US Lacrosse requires a ZERO Tolerance Policy. The boys and girlsâ?? leagues have instructed the referees to fully enforce this policy. Our program can be suspended from further participation in US Lacrosse-sanctioned leagues due to fan misconduct. 5. Parents and Fans must show good sportsmanship towards the other team players, coaches, parents, fans, and referees. The Club reserves the right to prohibit any parent or fan who has engaged in sideline misconduct from attending any future Club events. 6. No coaching your children from the sidelines â?? that is the Coachesâ?? responsibility. Your instructions may be contrary to the team objectives and the coachesâ?? instructions. 7. Parents and fans must sit on the side of the field opposite the playersâ?? bench. This rule applies for both home and away games, and for both the boys and girls. 8. The only parents allowed on the field during the game are 1) the parents who are keeping time or statistics; 2) the parents designated by the grade level coordinator to be the sideline parents for the game; and 3) the parent designated by the grade level parent coordinator to be the Field Administrator for the specific home game. 9. Parents, siblings and fans are NOT allowed at ANY time on the playing surface. We have games right after each other and parents and fans must wait for players exiting the field by the field gates. Players are required, after their post-game coachesâ? ?meeting and cleaning the sideline line area, to promptly gather their equipment and leave the playing surface. 10. Parents and fans must sit opposite the playersâ?? bench. At the end of the game, parents and fans should walk around the field to the players side and not across the field as the teams for the next game will be practicing and warming up on the field. 11. When we play or practice on the Oval, parents are strongly encouraged to exercise sound judgment when dropping or picking up your child. 12. At no time, can anyone stand or sit behind a goal area. 13. Parents must arrange for their childrenâ? ?s transportation to away games, practices and home games. Parents are expected to have their children arrive promptly at the designated times for each practice and game as instructed by the Coaches. That will typically be at least 15 minutes before a practice and at least 30-45 minutes before a game. 14. Parents are required to promptly pick up their children after any practice or game. child may result in the child being removed from the program. 15. No child will be allowed to leave any practice or game by themselves to walk to another activity or location. 16. Any parent that has an issue with a Coach is encouraged to first discuss it with the Coach and if not satisfactorily resolved, discuss it with any Club Director. Of course, if the issue is such that the Parent would rather discuss it directly with a Club Director, then that is the parentâ? ?s decision. 17. Parents are expected to volunteer and assist in all aspects of the Clubâ? ?s operation. 4. Many refs are young and inexperienced; â??arguingâ?? will be limited to discussions and then the discussion will end. Verbal attacks will not be tolerated. 5. If the ref has lost control of the game, and/or the other team is unnecessarily rough/dirty, Coaches have the discretion and are encouraged to pull our team off the field and forfeit the game (even if we are in the lead). 6. Do not make derogatory comments about players, coaches, refs or fans. 7. Coaches are expected to know the rules and have a rulebook. 8. Coaches are responsible for the team equipment bag and informing the Club when additional items are needed. 9. Coaches must bring the medical kit to every game and practice and are responsible for informing the Club when additional items are needed. 10. Confidentiality of all player information must be maintained at all times. Medical information in particular. Violation of this rule will result in suspension from the program. 11. Coaches must bring the player roster notebook, with medical information and emergency contact numbers, to every game and practice. 12. Coaches will make a best effort to play all players nearly equally. Each player must play a minimum of one-quarter. Practice time will equate to playing time. 13. Coaches are encouraged to award hustle, team play, hard work, and good sportsmanship when selecting game and practice captains and the starting line-ups. 14. Practice time equals playing time. Hard work, positive attitude, sportsmanship, and teamwork during practice are expected and will be rewarded with additional playing time. Athletic ability by itself is not an absolute right to playing time. 15. Coaches will stress team play â?? during practice and during the game - over all else. This is accomplished by passing, communicating and hustling. 16. Coaches are responsible to insure that at least one coach is present at the start of any practice or the time designated players to arrive for a game. 17. Coaches must inform a Club Director of any game or practice conflicts they have during the season. 18. Coaches must arrange with the Grade Level Parent Coordinator to stay with any players who have not been picked up after a practice or a game. Two adults must stay with any remaining players. No coach is allowed to drive any player home after a practice or a game.